Ready to Sell or Buy? Are you thinking about selling your home? 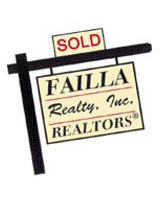 We will provide you with a Market Evaluation of your home with comparable sold and closed properties in your area. Please fill out the easy to use form below to tell us about your home. Please note your information will be kept strictly confidential and will only be used to help us provide you with better real estate services. You will be contacted shortly.